A not entirely typical view of the summit plateau of Scafell Pike, showing it on a clear sunny day. 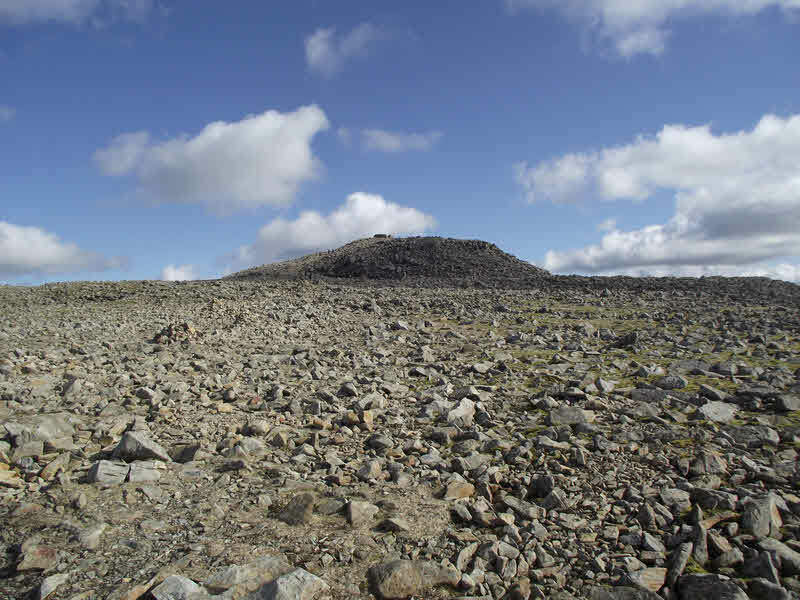 The overall shape of the summit area becomes clear here - a large rocky plateau with a smaller platform forming the highest point of the fell. The distinctive summit cairn is also just seen.